Ideal for activities in the sun. The Columbia Men's Cast Away Zero II Knit Long Sleeve Shirt features Omni-Freeze™ ZERO and Omni-Wick™ technologies. Ideal for activities in the sun. 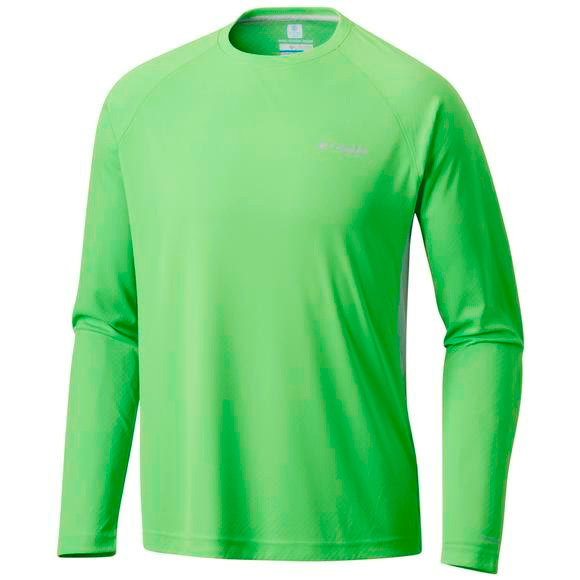 The Columbia Men&apos;s Cast Away Zero II Knit Long Sleeve Shirt features Omni-Freeze™ ZERO and Omni-Wick™ technologies.